Similar term(s): nuclear magnetic resonance imaging. A technique that uses a strong circular magnet in combination with pulses of radio waves to produce detailed images of internal organs. 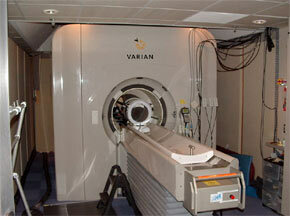 MRI is especially useful for imaging spine, joints, and inside bones and also soft tissue such as the brain. Physicians can use MRI to see for instance the difference between normal and diseased brain tissue or which parts of the brain are active when you perform certain tasks or feel certain emotions and sensations. MRI is one of several Nuclear Magnetic Resonance techniques.